ALL E-LIQUIDS A WIDE VARIETY OF FLAVOURS FOR EVERY PALETTE Our entire range of e-liquids all in one place. 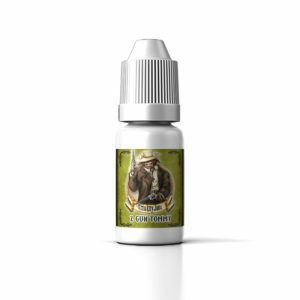 Our customers can buy 10ml bottles from £2.60 and go up to 120ml in size in the Short Fill variety. We also stock flavours from brands such as Big Juice, Herbal Tides, The Jam Vape Co, T-Juice, and Zeus Juice. We want to ensure our customers have a huge selection when it comes to picking a new flavour because we know how important the choice is! There is a wide range of nicotine strengths available including 3mg, 6mg, 12mg, & 18mg. You can also get even zero mg nicotine (or nicotine free e-liquid at 0mg). Ever wanted to try a liquid you won't find anywhere else? Give a look over the Wild Bunch range - it's totally unique to us! Geronimo is a firm favourite and one that's been mixed to our liking but above all, it's great on coil life too! 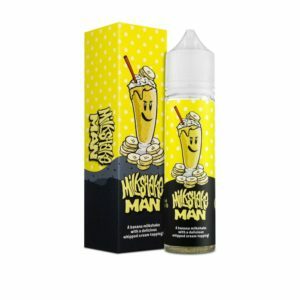 Our entire range of e-liquids all in one place. Our customers can buy 10ml bottles from £2.60 and go up to 120ml in size in the Short Fill variety. We also stock flavours from brands such as Big Juice, Herbal Tides, The Jam Vape Co, T-Juice, and Zeus Juice. We want to ensure our customers have a huge selection when it comes to picking a new flavour because we know how important the choice is! There is a wide range of nicotine strengths available including 3mg, 6mg, 12mg, & 18mg. You can also get even zero mg nicotine (or nicotine free e-liquid at 0mg). Ever wanted to try a liquid you won’t find anywhere else? Give a look over the Wild Bunch range – it’s totally unique to us! Geronimo is a firm favourite and one that’s been mixed to our liking but above all, it’s great on coil life too!